Low Noise: Reduce noise when dispensing BOPP tape. Power Suction: Rubber roller with static cling strip makes tape will not fall down. 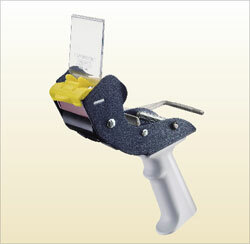 Easy Loading: Spring clamp design that allows tape to slide on and feed through in a seconds.